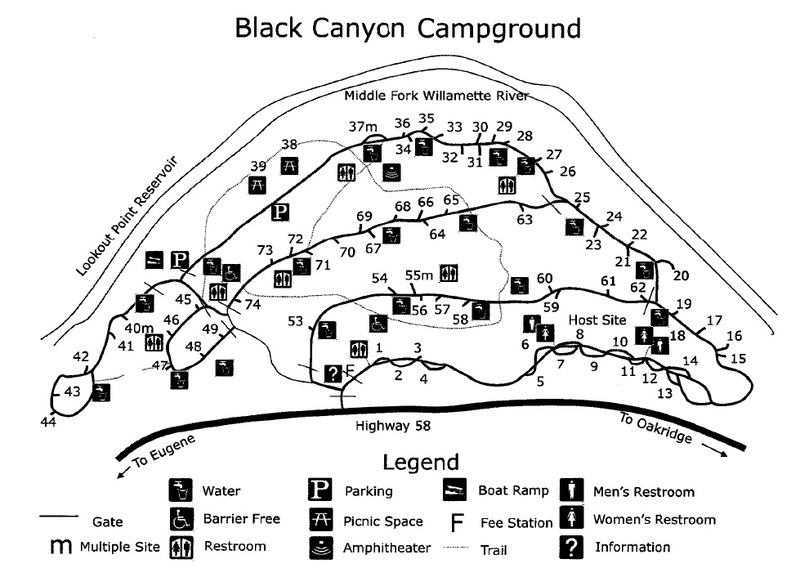 Towering hemlock, cedar and fir trees provide shade for 74 campsites in Black Canyon Campground. Some sites are on the waterfront. 1 group site can accommodate up to 30 people. There are no electrical hookups and large RV's are not recommended. 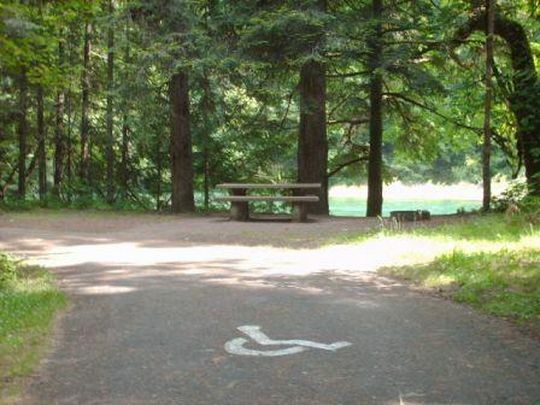 Each campsite has a picnic table and fire ring. A 1-mile interpretive nature trail winds through the campground. Lookout Point Reservoir is less than a mile away, with opportunities for boating and fishing. A boat ramp is located on the lake.